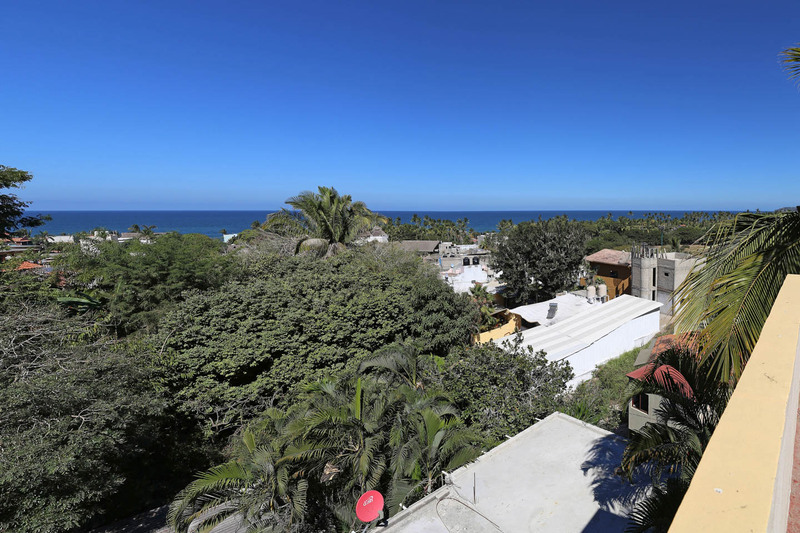 Before Casa Jungla’s owners chose to buy a home in Sayulita, they explored and stayed in every corner of this incredible Village, from the beautiful resort-like North Side to aptly named Gringo Hill and in the view-rich South side. Everything was magical but they yearned to be closer. Closer to the shops and restaurants in town. 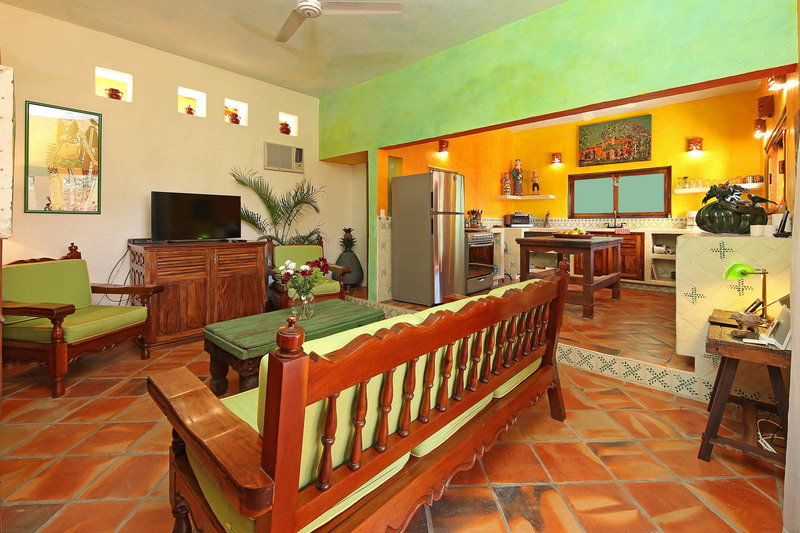 Closer to the beach and surf breaks. Closer to the locals. 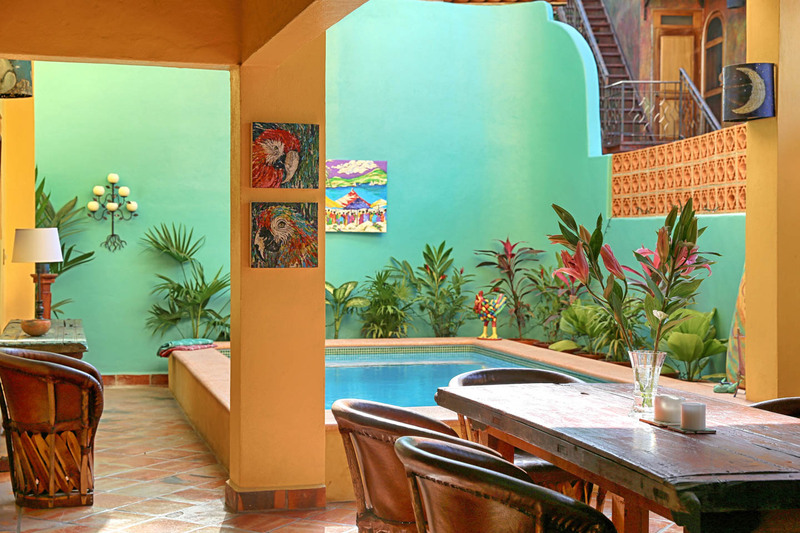 Which is why they could not resist Casa Jugla. 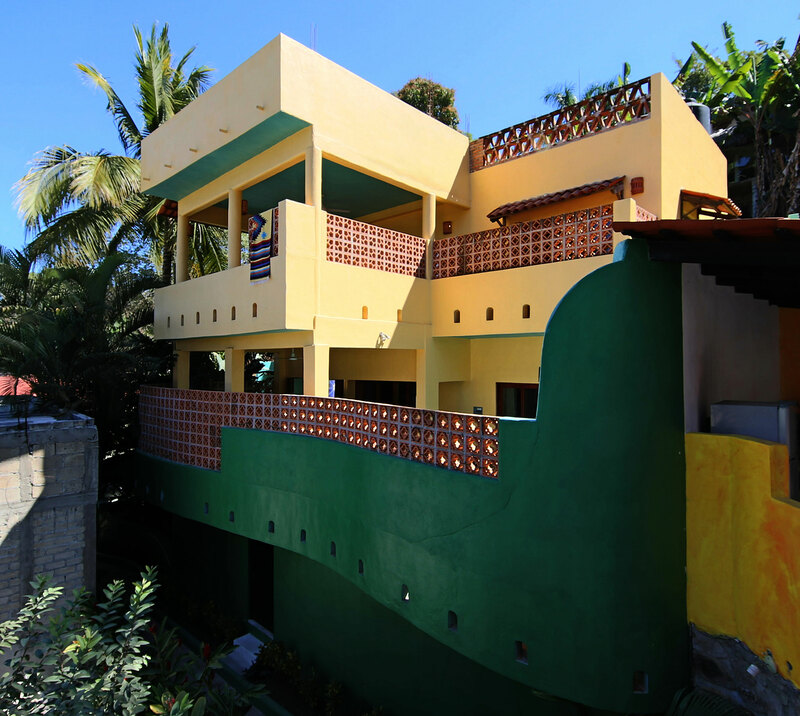 Steps from Avenida Revolucion, the excitement awaits. And a short 3 minute walk lands you on the beach. 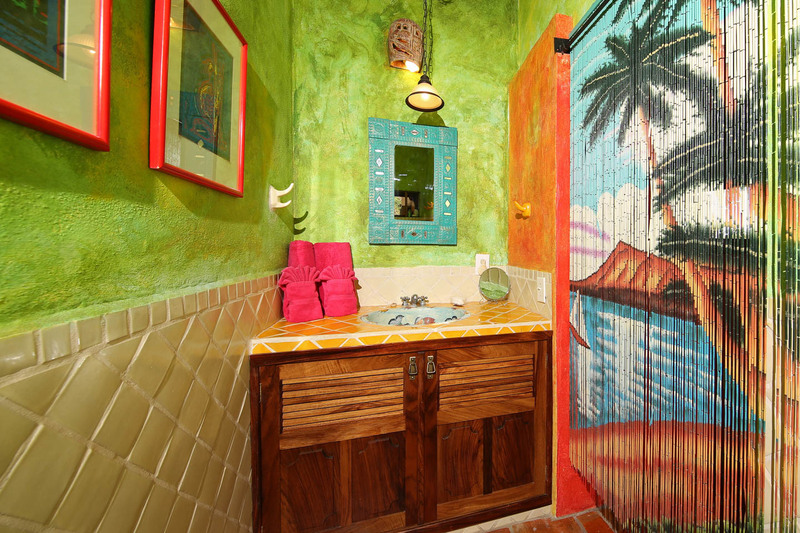 Close enough for you to leave your umbrella at the beach and return to grab that towel that you forgot from the Casa. All without the need for a car or a golf cart. Just don’t forget to pack your flip-flops. 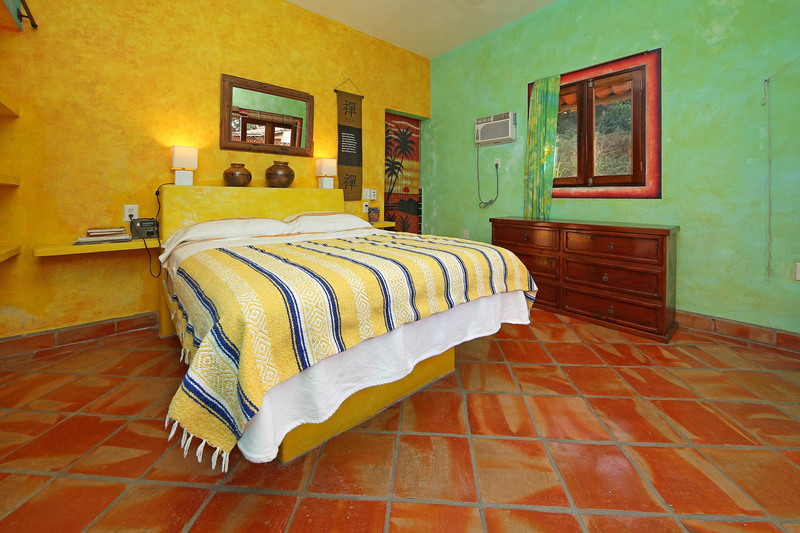 Casa Jungla is a two bedroom, three bath home tucked away in the heart of Sayulita. 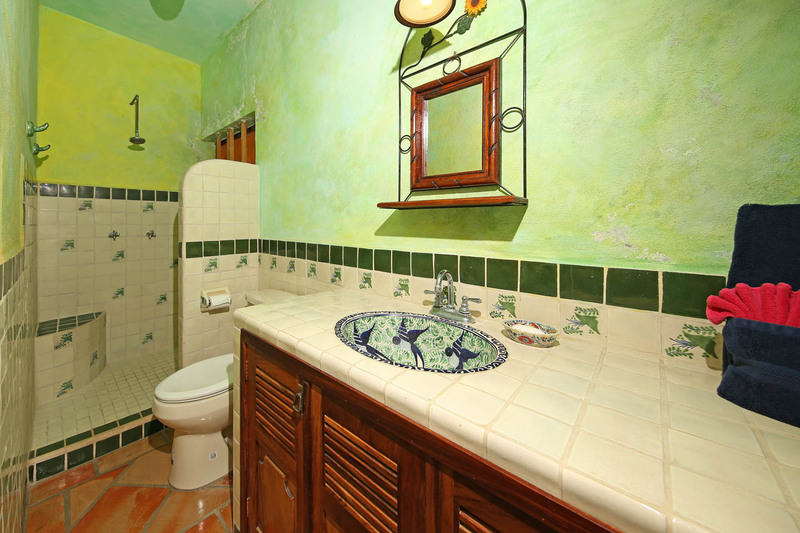 Centrally located, quiet and private with pool and great views, 3 minutes from the beach and plaza. 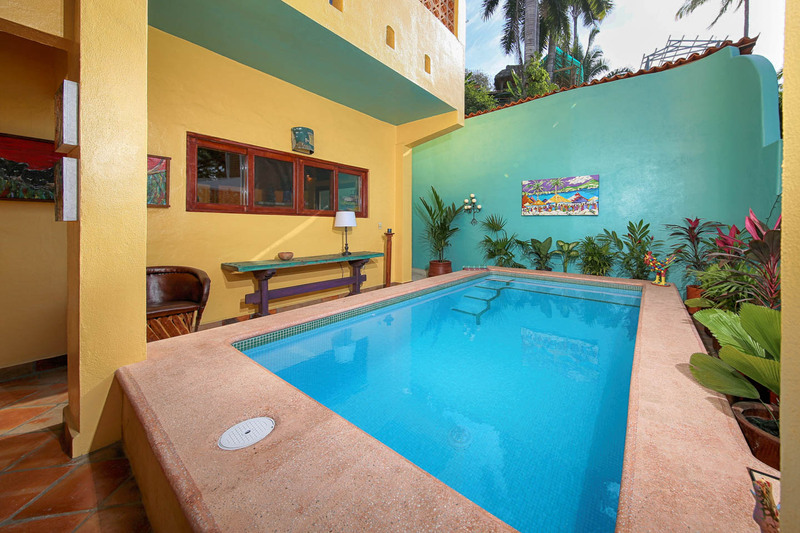 Casa Jungla’s secure walled compound tucked away at the end of the street, on top of a hill means relaxation and seclusion, however, its proximity town is perfect for access to shopping, the beach or amazing and diverse restaurants. When you are ready to retire from the crowds and settle in for the evening, or you choose to stay home for a day, this place has what you need. 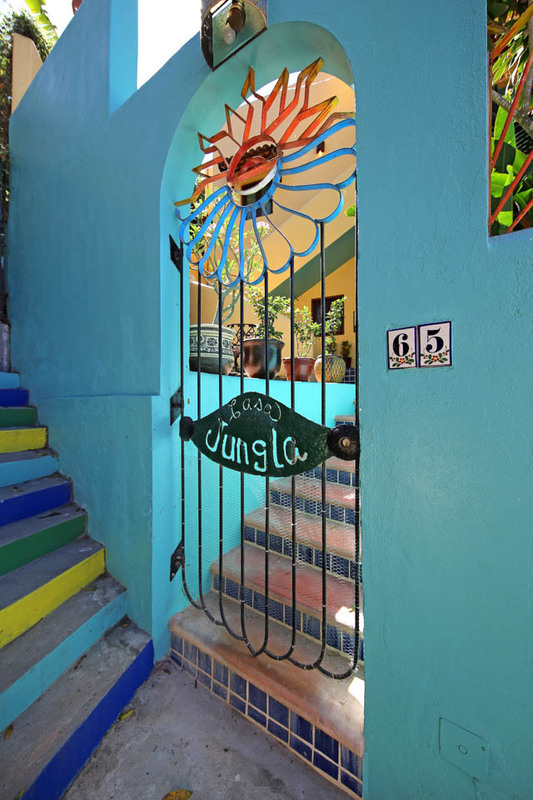 Located at the end of the small street and behind a beautiful hand-built gate, Casa Jungla provides the privacy, security and serenity for your Sayulita escape. 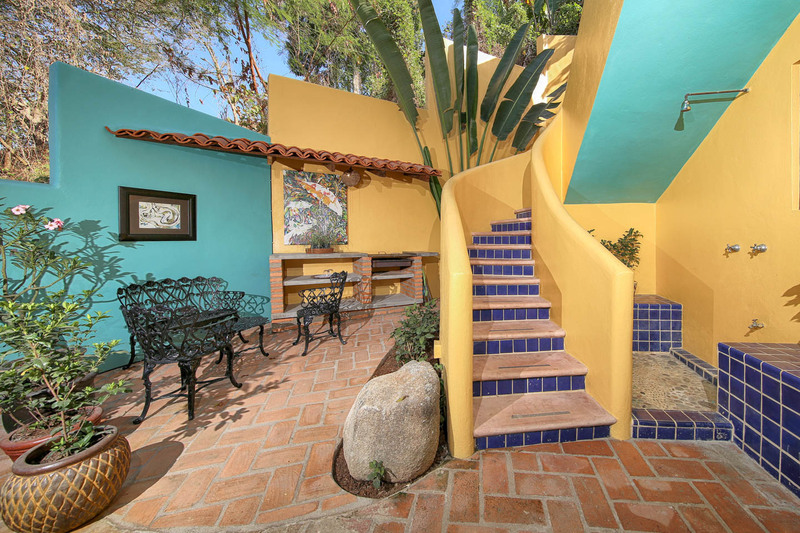 When you enter, you pass into the large courtyard where you can keep your surfboards, boogie boards and rinse off the sand from the beach in the outdoor shower. 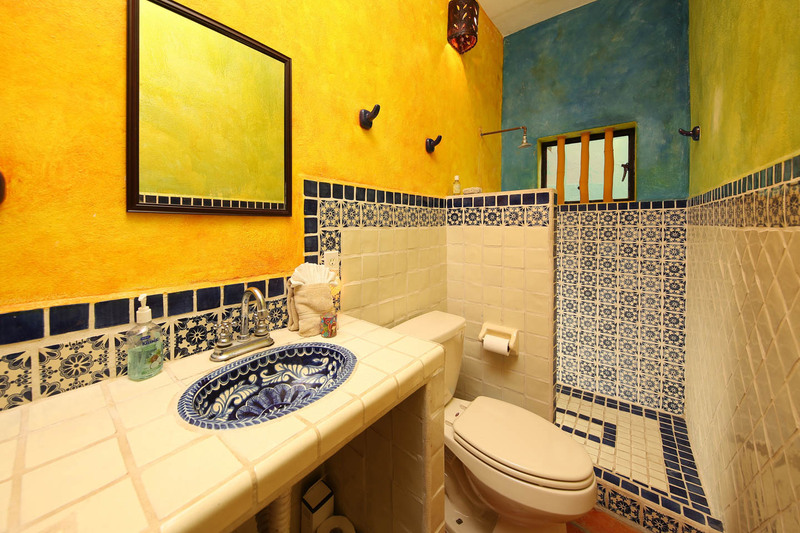 An upgraded water system, with increased water capacity and dependable hot water keeps you refreshed after a long day of shopping, surfing, or exploring. 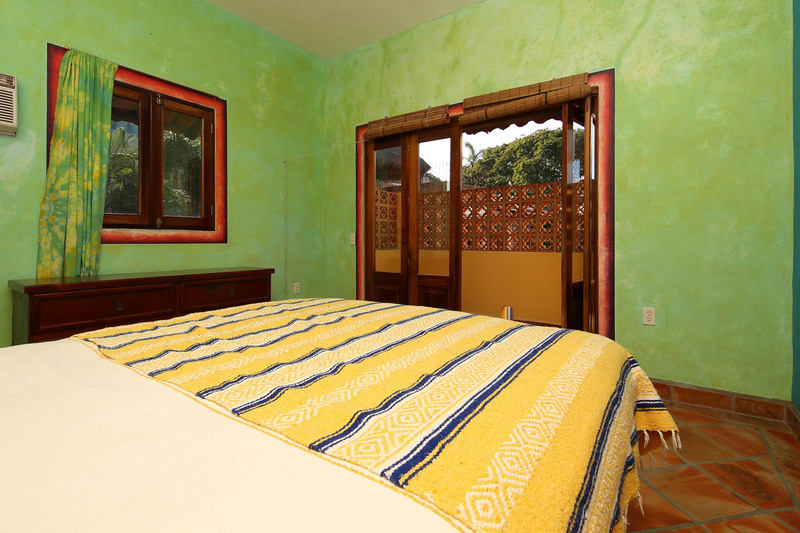 Up the stairs, your will find the bedrooms, complete with air conditioning for those warm Sayulita nights, hotel grade safe for your valuables, queen sized mattresses, sheets and towels and private baths with hairdryers and soap. 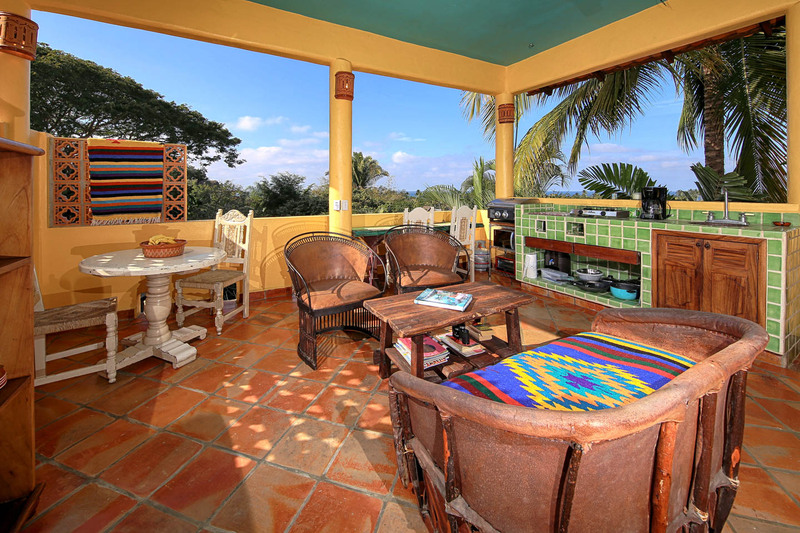 Also, a private patio with fully equipped kitchenette and views of the Jungle and ocean beyond. Downstairs, an ice cold drink awaits. 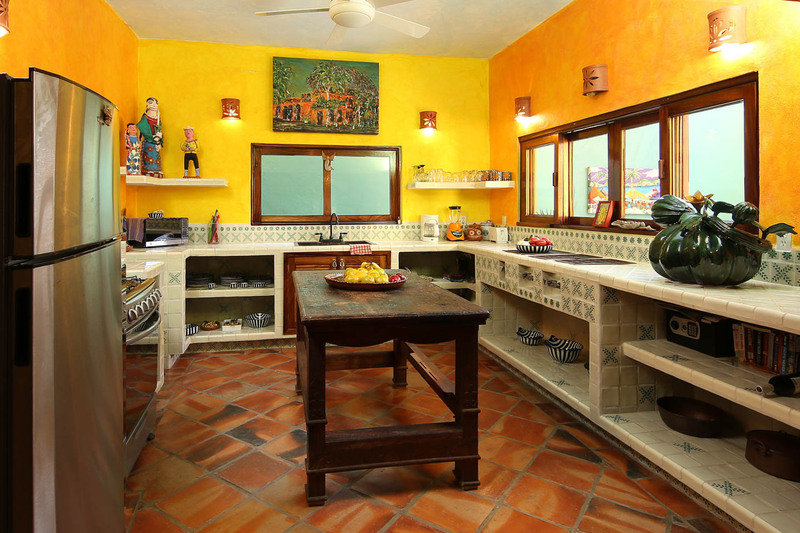 The large dipping pool is the perfect place to hang with your family or friends and sip your drinks while the chef in your group works on the dinner feast in the large, fully equipped kitchen. New stainless steel appliances and endless counter space is a chef’s dream. 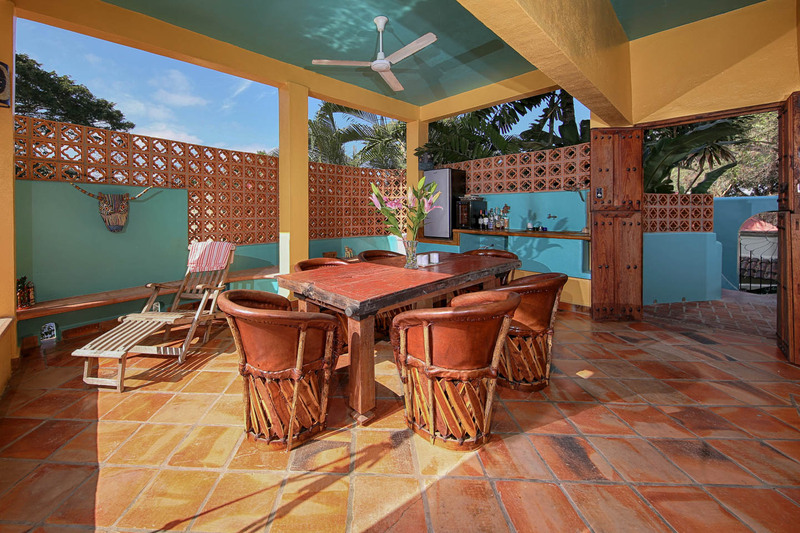 And even though you are far from reality, all of the essentials are here for you: television with countless movies & sports, wireless internet, wireless bluetooth speakers and both a mini fridge for beers and a wine fridge for your wine located in the courtyard by the pool. 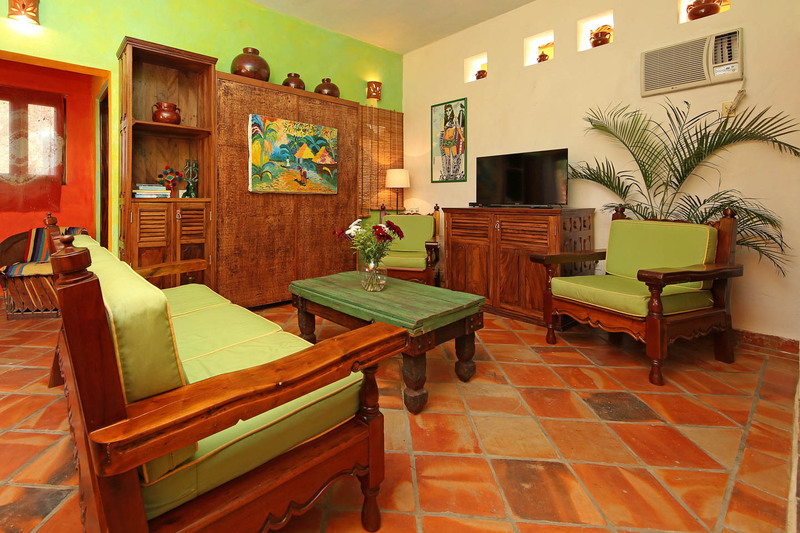 There is also a murphy bed in the living room in case you need space for a few guests to spend the night. The property manager lives next door and is just a phone call or message away should you need anything. 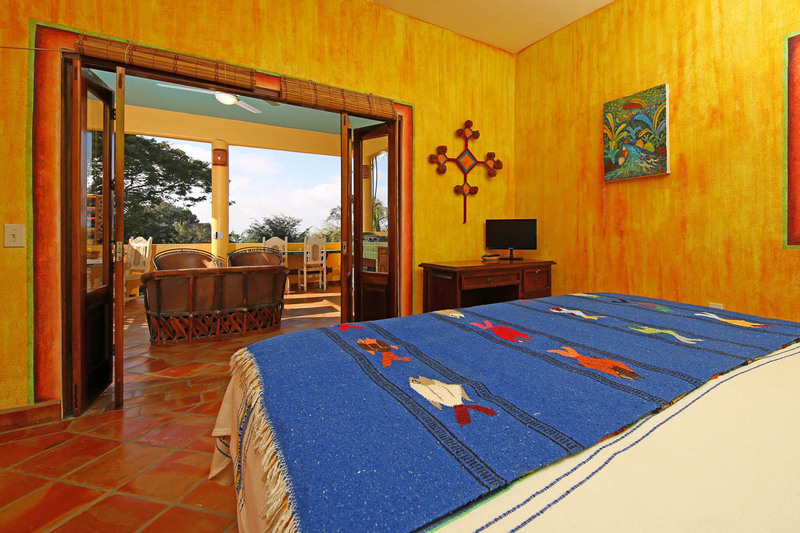 She is eager to offer suggestions of things to do in Sayulita, and will stop by to help if there is a problem. Additionally, you should expect visits from the pool and grounds keepers several times a week to keep the place looking great! Be respectful of the neighbors, no parties or loud noise after 10 pm. 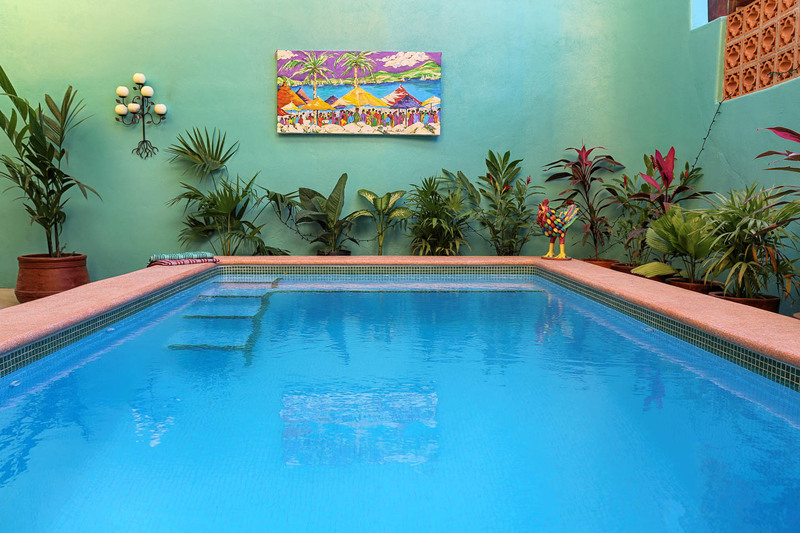 No glass by the pool, and always rinse sand off with the hose in the courtyard before entering the house, or jumping in the pool as well. Be aware of conserving electricity and water, as we struggle to maintain water levels to sustain the whole town, especially throughout the dry season. Remember to lock your valuables in the provided safes. Always better to be safe than sorry. 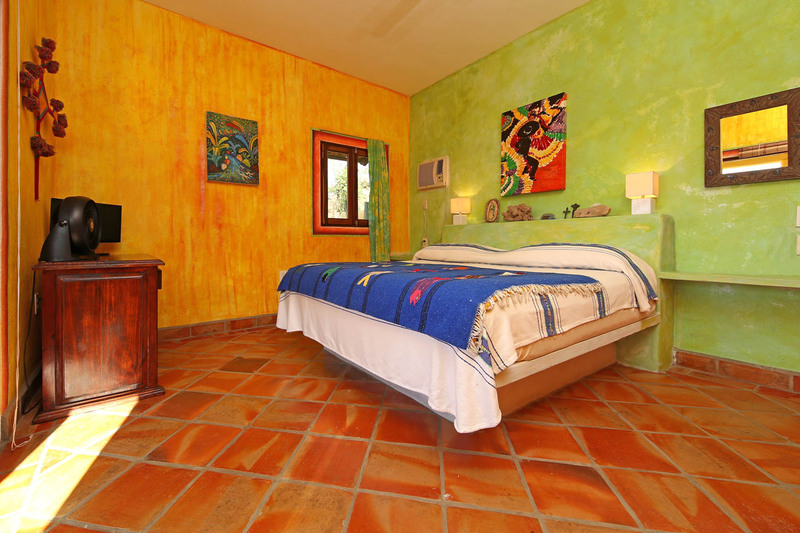 Plan your Sayulita getaway at Casa Jungla today!